From The Unknown Brewing Company in Charlotte, Over The Edge is an American IPA. The nose is slightly floral and fruity. The middle has orange and caramel. The finish is pretty much the same, with a bit of lemon coming out as well. The body is medium and the alcohol is 6.9% ABV. It’s a fine American IPA, but pretty standard. This entry was posted in Reviews and tagged Ale, American IPA, Charlotte, IPA, North Carolina, Unknown Brewing Co on January 25, 2017 by Xander. 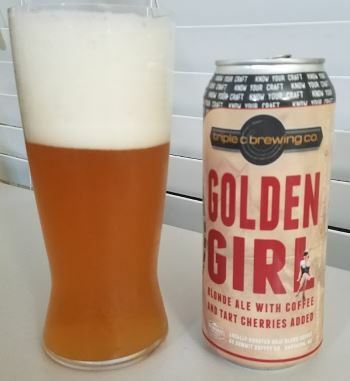 A summer release I’m just getting around to reviewing is Triple C Brewing’s Golden Girl Blonde Ale, brewed with a local roaster’s coffee blend and tart cherries. The result is light, refreshing, and utterly delicious. The nose is light and malty, and has an unexpected hint of sour yeast and a bit of cherry. 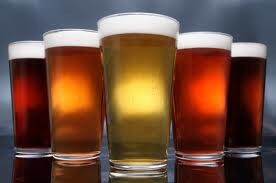 The middle is malty blonde ale base with strong but not overpowering tart cherries, and just a hint of coffee for balance that builds just a bit in the finish. Ultimately this is a cherry blonde ale, but the coffee is wonderful addition that gives it extra complexity in the finish, but not enough to give it any bitterness. I honestly didn’t know what to expect with this beer, but even had I had high expectations, this might have exceeded them. A wonderful new brew that’ll I’ll definitely be looking for again next summer. The body is medium to heavy, and the alcohol is a light, summery 4.5% ABV. This entry was posted in Reviews and tagged Ale, Blond Ale, Charlotte, Fruit Ale, Fruit Beer, North Carolina, Summer, Summer Beer, Triple C on January 6, 2017 by Xander. 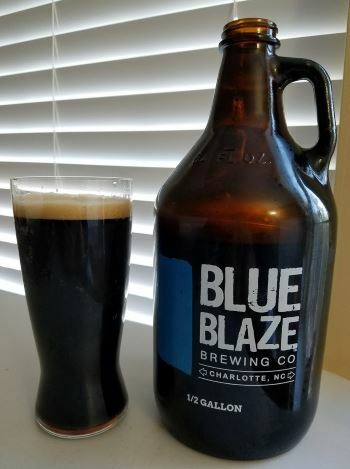 Double Blaze is a Black IPA from Charlotte’s Blue Blaze Brewing, and as you can see from the picture, my local beer store stocks Blue Blaze’s wares in 64oz growlers. The head is heavy foam, and though there isn’t a lot of it, it sticks around for quite a few minutes. The strongest note in the nose is cocoa, with a bit of pine too. The middle is bitter with green pine, fading to a finish of coffee and brown sugar. The body is medium and the alcohol is a reasonable 6.1% ABV. It’s a nice base to grow from for a good bitter IPA, but still a little raw and unfinished, in my opinion. 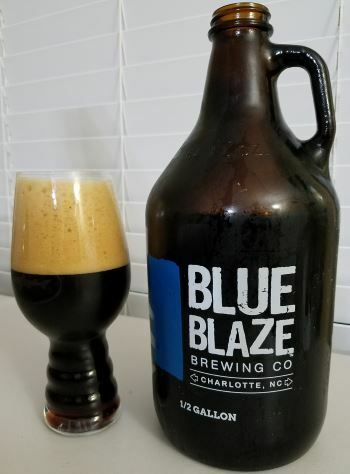 This entry was posted in Reviews and tagged Ale, American IPA, Black IPA, Blue Blaze, Charlotte, IPA, North Carolina on January 3, 2017 by Xander. Peak Farm is an Imperial Pale Ale from Sycamore Brewing in Charlotte, NC. The nose is predominantly floral with some light fruity notes of apricot and mango. The middle has some citrus in the form of orange and lemon. The finish is citrusy and bitter, tempering as it warms. The body is heavy and the alcohol is a moderate 7.2% ABV. A nice double pale ale with nothing against it, but not particularly special. This entry was posted in Reviews and tagged Ale, American Pale Ale, American Strong Ale, Charlotte, Imperial Pale Ale, North Carolina, Pale Ale, Sycamore on December 9, 2016 by Xander.